High blood pressure, high levels of triglycerides, oxidation of Low Density Lipoprotein (LDL) cholesterol and lowering levels of High Density Lipoprotein (HDL) cholesterol are the primary cause that leads to oxidative stress and chronic inflammation in the vessels. This condition emerges at early age and gradually compromises vascular integrity leading to atherosclerosis at a later stage of a person lifespan. Atherosclerosis is a cardiovascular condition in which fat deposits and become oxidized along the inner lining of the artery walls. This silent yet deadly build up progressively thickens, hardens and eventually blocks the arteries leading to sudden and severe circulatory complications including vascular ischemia, stroke or heart attack. Cardiovascular and circulatory deaths related to atherosclerosis accounts for 29% of all deaths globally; the primary cause of death in EU (42%), Eastern Europe (48%), UK (39%), North America (49%), China (34%), South America (31%); Middle East (31%) and India (29%) – World Health Report, 2010. Salmon Consumption and Lower Incidence of Cardiovascular Diseases Among Japanese. Just a Coincidence? The cardiovascular and circulatory benefits of natural astaxanthin are evident among Japanese who are the uppermost consumers of food containing astaxanthin (AX) in the world and have the lowest incidences of heart diseases amongst developed countries. As the French paradox of cardiovascular health is connected to “sipping red-wine” and Italians longevity to “olive oil dressed” salads, Japanese cardiovascular resilience can be associated with consumption of “astaxanthin-soaked” salmon. In fact, a growing number of scientific evidence points to a robust link between natural astaxanthin and cardiovascular health – 30 cardiovascular specific research publications including 10 clinical studies. Research suggests that oral supplementation of astaxanthin may reduce the risks of cardiovascular diseases by reducing hypertension while enhancing blood rheology, capillary circulation and vascular resilience. For every 1 mg/dl increase in good cholesterol HDL, the risk of cardiovascular diseases drops by 3%. In fact, baby boomers with low-HDL (> 40mg/dL) increase their chances of experiencing coronary events by 50%. Recent studies suggest that individuals with low HDL cholesterol who also have high triglycerides levels are 11 times more likely to develop cardiovascular diseases. Achieving a significant increase of HDL is notoriously hard because it requires drastic lifestyle changes, so often ending with modest results or sudden relapses. Recent research suggests that astaxanthin supplementation can support lifestyle changers by synergizing HDL increasing effect with decreased level of serum triglycerides. Two recent studies demonstrated that astaxanthin consumption can steadily increase HDL cholesterol in both healthy and less healthy individuals -both as preventive and therapeutic use. Yoshida et al., (2009) conducted the first ever randomized, placebo-controlled human study to evaluate astaxanthin effect on dyslipidemia and metabolic syndrome. Sixty-one hyper-triglyceride subjects between 42-47 years old (BMI 24 mg/kg), received 0 (placebo), 6 mg, 12mg, 18mg of astaxanthin daily for 12 weeks. While the placebo group did not change their existing condition, the astaxanthin groups increased their HDL cholesterol by 11%, 15% and 7% respectively and decreased their serum triglycerides level by 17%, 25% and 24% respectively (figure 1). In a recent clinical study, 73 subjects between 20-60 years of age who received 4mg of natural astaxanthin per day for 4 weeks had their serum triglycerides level decreased by 25 %(Satoh et al., 2009). In another study conducted in Japan, 15 healthy adults increased their HDL by 6% after ingesting 9mg/daily of astaxanthin for 8 weeks (Matsumaya et al., 2010). In 2007, Hussein et al., has shown that astaxanthin reduced the size of fat cells in rats, which lead to a lower risk of cardiovascular complications and chronic inflammation (figure 2). High levels of triglycerides and low levels of HDL also increase the likelihood of fat-oxidation in vessels and formation of “wounds” in the inner lining of artery walls (endothelium) leading to chronic inflammation and oxidative stress; this situation causes degradation, narrowing and thickening of arteries. Three recent clinical studies have robustly pointed to astaxanthin ability to reduce fat peroxidation in blood plasma. In a randomized-double-blind placebo study, 33 overweight subjects received 5mg or 20mg astaxanthin daily for 3 weeks. Their lipid peroxidation markers plasma MDA Level (mmol) and plasma ISP (ng/mL) decreased by 30% and 60% in average (Choi et al., 2011). In another randomized double blind placebo controlled study, 30 subjects between 50 and 69 years of age received 0 (placebo), 6 or 12mg astaxanthin daily for 12 weeks (Nakagawa et al., 2011). The amount of oxidized red blood cells (PLOOH um0l/ml) decreased by 17% and 24% respectively(figure 3). In 2007, Karppi et al., conducted a randomized double blind conducted placebo controlled study with 40 non-smoking subjects between 19-33 years of age who received 0 (placebo) or 8mg of astaxanthin daily for 12 weeks. Their lipid peroxidation markers -plasma-15-hydroxy fatty acidsdecreased by 60% and plasma-12-hydroxy fatty acids by 36%. In 2000, Iwamoto et al., has also shown that astaxanthin inhibited LDL oxidation in human subjects. Professor Aoi from Kyoto Prefectural University, has shown that astaxanthin limits exercise-induced cardiac oxidation damage in mice. Low antioxidant activity in the blood correlates with high incidences of stroke, neurological impairment in stroke patients and cardiovascular diseases. Therefore, it is crucial to monitor the biomarkers of antioxidant capacity in the blood when assessing the efficacy of an active ingredient. In a randomized double blind study, 33 overweight subjects received 5mg or 20mg astaxanthin daily for 3 weeks. Their plasma Superoxide Dismutase Level (SOD) (U/mL) and Plasma Total Antioxidant Capacity (TAC) Level (mmol) increased 45% and 19% respectively. (Choi et al., 2011) (figure 4). Other studies have produced similar results using different assessment methods. In an open label clinical study, 35 postmenopausal women were treated with astaxanthin daily dose of 12 mg for 8 weeks (Yonei et al., 2009). 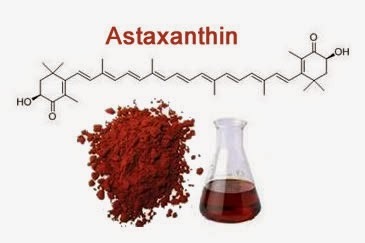 Astaxanthin supplementation increased biological antioxidant potential in the blood plasma by 5% in 8 weeks. In addition, Camera et al., suggested that astaxanthin protects and synergize with our endogenous antioxidant systems (superoxide dismutase, catalase and glutathione) from early degradation when subjected to oxidative stress (Camera et al., 2008). In the presence of oxidized cells in the endothelial lesions, macrophages white blood cells infiltrate in affected areas to clear away pathogens and dead cells. Yet, in the attempt to clean up the oxidized areas, macrophages may get overweighed with excessive lipoproteins and unable to leave the artery walls. This peculiar but common situation triggers a cascade of chronic inflammatory responses and pro-oxidant activities that degraded the structural integrity of the vessels. Therefore, up-regulated activity of oxidized LDL via macrophage induced inflammation is central to the initiation and progression of atherosclerosis. They are closely associated with plaque development, aggravation and ruptures. A recent study shows that astaxanthin decreased macrophage occupied lesion areas and therefore inflammation in the vessels of rabbits by 40% compared to control group (figure 5). Furthermore, rabbits that ingested 4mg astaxanthin everyday for 24 weeks decreased programmed cell death (apoptosis) by 42% and cell death (necrosis) by 17% in the aorta (Li et al., 2004). Figure 5. Astaxanthin decrease chronic inflammation and cell death in the inner lining of the vessels. Chronic inflammation and apoptosis in the endothelium dramatically accelerates vascular degradation and atherosclerotic plaque formation. (Li et al., 2004) Rabbits ingested 4mg of placebo, Vitamin E or astaxanthin everyday for 24 weeks. In-vitro study provides further evidences that astaxanthin (5-10uM) decreases macrophages related activation (SR-A and CD36) by 48% and 58% respectively (Kishimoto et al., 2009). A recent animal studies show that astaxanthin could ameliorate endothelial dysfunction by significantly improving the level of substances important for the regulation of vascular integrity. In more details, treatment with astaxanthin for 42 days decreased serum oxidized LDL cholesterol, aortic MDA levels, attenuated endothelium-dependent vasodilatory to acetylcholine, up-regulate eNOS expression and decreased LDL cholesterol receptor expression (figure 6). Figure 6. Astaxanthin treatment improved markers of endothelial dysfunction by reducing oxidation of LDL cholesterol and MDA. Higher levels of LDL oxidation and MDA expression highly correlates with structural damages in blood vessels and impairment of blood flow. (Zhao et al., 2011) Diabetic rats were treated with 10 mg/kg of astaxanthin or olive oil for 42 days. Animal studies have also shown that astaxanthin ameliorated structural changes in the blood vessels – reduction in wall thickness by 47% and improved vascular tone by 36% in spontaneously hypertensive rats (Hussein et al., 2006). Such structural changes was observed in the reduction of the number of branched elastin bands and improved vessel wall to lumen thickness ratio. In another study, 24 weeks supplementation of natural astaxanthin reduced levels of MMP3 expression in the aorta of rabbits – a crucial factor that lead to a degradation of elastin and collagen structures which determines the mechanical properties of connective tissues in the vessels (figure 7). In the experiment, astaxanthin enhanced plaque stability leading to a significant reduction of plaque ruptures (Li et al., 2004). Good circulation, quality of blood and resilient vessels are the key features required to fight development and progression of atherosclerosis. Blood rich in antioxidants bring nutrients and oxygen to organs while removing waste through a smooth vascular resilience and capillary flow. Recent human studies suggest that 6mg daily of astaxanthin can enhance blood flow by 10% in terms of capillary transit time -how fast the blood runs through the vessels (Miyawaki et al., 2008). Another complementary study showed that astaxanthin decreased lower limb vascular resistance by 17% – the degree to which the blood vessels impede the flow of blood (Iwabayashi et al., 2009). (figure 8) High resistance causes an increase in blood pressure, which increases the workload of the heart. In 2005, Nagaki et al., conducted another randomized double-blind study in which 36 subjects who received oral astaxanthin, 6mg/day for 4 weeks experienced a 4% improvement in capillary blood flow (Nagaki et al., 2005). Figure 8. astaxanthin decreased lower limb vascular resistance (LLVR) – the degree to which the vessels impede the flow of blood. LLVR increase blood pressure and circulatory complications that lead to peripheral vascular diseases, venous thrombosis and painful claudication (Yonei et al., 2009) 35 healthy postmenopausal women (BMI 22.1) were included in the study, treated with astaxanthin daily dose of 12 mg for 8 weeks. A series of human studies suggest that astaxanthin decreases blood pressure by improving blood flow and vascular tone. In a recent clinical study, 73 subjects, between 20-60 years of age, who received 4mg of astaxanthin for day for 4 weeks showed a significant decrease in systolic blood pressure (Satoh et al., 2009). In another study, 15 healthy subjects, between 27-50 of age, who received 9mg/day of astaxanthin for 12 weeks had their diastolic blood pressure decreased significantly (Matsuyama et al., 2010). A series of animal studies have largely replicated the effects of astaxanthin found in human studies (e.g. Ruiz et al., 2010; Preuss, 2011). Clinical studies suggests that oral supplementation of natural astaxanthin (4mg-12mg) may reduce the risk cardiovascular complications by enhancing blood rheology, lipid-metabolism, capillary circulation, vascular resilience and the endogenous antioxidant defense. Other clinical studies have also shown that astaxanthin reduce lipid-peroxidation, LDL cholesterol, blood pressure and DNA damage. Mechanism of action includes inhibition of macrophage-induced inflammation in the endothelium, oxidative stress-induced apoptosis and MPP-induced-structural degradation of the vessels. Furthermore, recent studies have also outlined that astaxanthin ameliorates nitric oxide dependent vessels dilation and reduce sensitivity to the angiotensin. Aoi et al., (2003). Astaxanthin limits exercise-induced skeletal and cardiac muscle damage in mice. Antioxidants & Redox Signaling. 5(1):139-44. Hussein et al., (2005b). Antihypertensive potential and mechanism of action of astaxanthin II. Vascular reactivity and hemorheology in spontaneously hypertensive rats. Biol. Pharm. Bull., 28(6):967-971. Hussein et al., (2006b). Antihypertensive potential and mechanism of action of astaxanthin: III. Antioxidant and histopathological effects in spontaneously hypertensive rats. Biol. Pharm. Bull., 29(4):684-688. Hussein et al., (2005a). 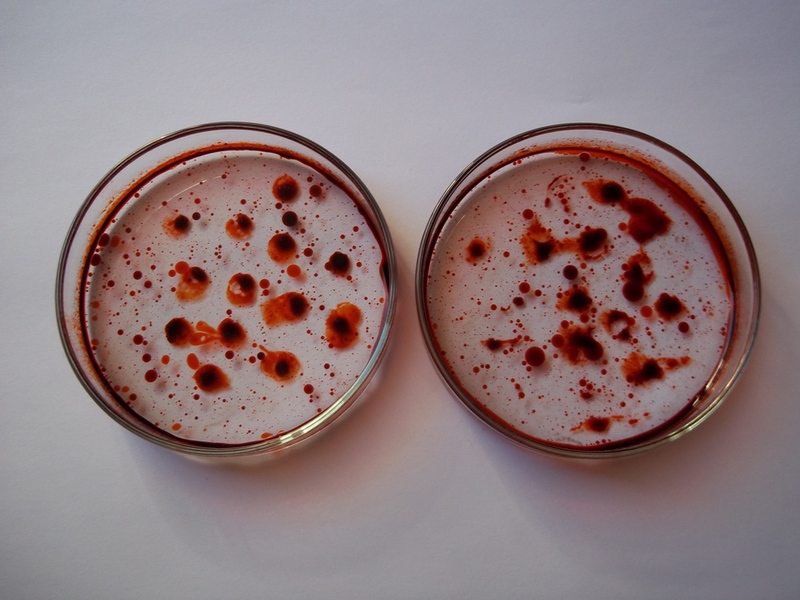 Antihypertensive and Neuroprotective Effects of Astaxanthin in Experimental Animals. Biol. Pharm. Bull., 28(1): 47-52. Iwamoto et al., (2000). Inhibition of low-density lipoprotein oxidation by astaxanthin. Journal of Atherosclerosis Thrombosis. 7(4):216-22. Karppi et al., (2007). Effects of astaxanthin supplementation on lipid eroxidation. Int J Vitam Nutr Jan; 77 (1): 3-11. Li et al., (2004). Alpha-tocopherol and astaxanthin decrease macrophage infiltration, apoptosis and vulnerability in atheroma of hyperlipidaemic rabbits. Journal of Molecular and Cellular Cardiology., 37:969-978. Miyawaki et al., (2005). Effects of Astaxanthin on Human Blood Rheology. Journal of Clinical Therapeutics and Medicines., 21(4):421-429.7. Murillo (1992). Hypercholesterolemic effect of canthaxanthin and astaxanthin in rats. Arch. Latinoam Nutr., 42(4):409-413. Yoshida et al., (2010). Administration of natural astaxanthin increases serum HDL-cholesterol and adiponectin in subjects with mild hyperlipidemia., 209 (2): 520-3. Choi et al., (2011). Effects of Astaxanthin on Oxidative Stress in Overweight and Obese Adults Phytother. Research (in-press). 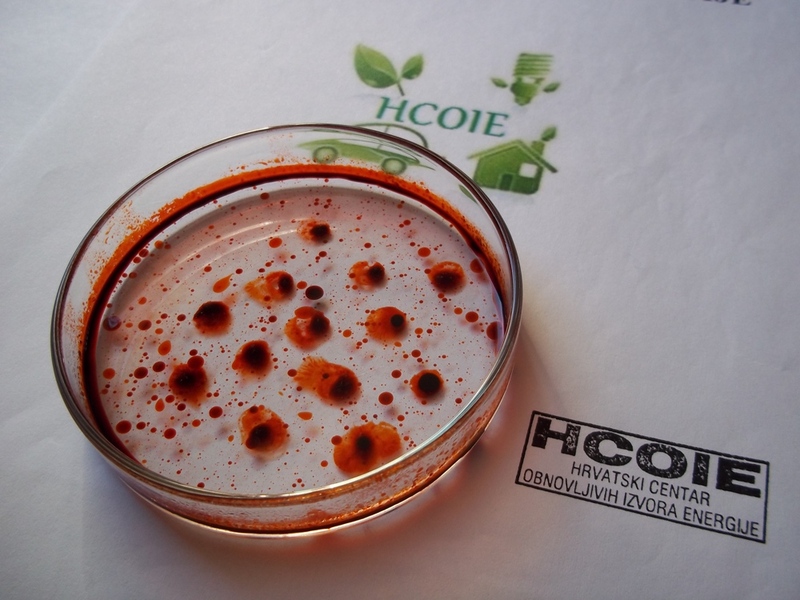 Satoh et al., (2009).Preliminary Clinical Evaluation of Toxicity and Efficacy of a New Astaxanthin-rich Hameotoccus Pluvialis. J. Clin. Biochem. Nutr., 44: 280–284. Hussein et al., (2007). Astaxanthin ameliorates features of metabolic syndrome in SHR/NDmcr-cp. Life Sci., 16;80(6):522-9. Preuss, et al., (2011). High Dose Astaxanthin Lowers Blood Pressure and Increases Insulin Sensi-tivity in Rats: Are These Effects Interdependent?., 8(2):126-138. Zhao et al., (2011). Ameliorative effect of astaxanthin on endothelial dysfunction in streptozotocin-induced diabetes in male rats. Arzneimittelforschung., 61(4): 239-246. In smaller countries, like Croatia, where oil demand is low, and emission standards are poor, algae biofuel has the potential to significantly reduce reliance on foreign oil. CCRES ALGAE TEAM part of Croatian Center of Renewable Energy Sources (CCRES) works on Biodiesel from Microalgae, Fish Food and Protein for the food industry. Green algae are low maintenance, easy to grow and very abundant aqueous life forms that use sun light energy to perform photosynthesis. Photosynthesis is a biological process which produces biomass (sugars or oils), oxygen and the high-energy molecule ATP (adenosine triphosphate) from carbon dioxide (CO2) and water. All biomass, whether it is sugars or oils, is convertible into bio-fuels, most commonly bio-ethanol and bio-diesel. We have developed algae biodiesel production and algae oil harvesting systems and equipment that properly function for growing algae and harvesting the algae in a very efficient manner for use in algae biofuels such as biodiesel from algae and algae ethanol. We have a patented dredge head which is self-clearing so that human labor is not necessary for operation of a single dredge. Now one operator can run several dredges at the same time. Algae Technology Ventures offers algae strains, a commercial inoculator photobioreactor for the algae production industry, colleges and universities, and custom-designed closed-loop photobioreators and turnkey algae production facilities. We also provide cost-effective project management consulting services to the algae industry. Bard Holding Inc. Algae.Future. Now. BARD has developed a unique patent-pending modular system to cultivate algae in a closed-loop, sustainable process. BARD is bringing its know-how to the pharmaceutical, nutraceutical, cosmetics, chemical, construction, manufacturing, human and animal feed industries. Working closely with leading-edge technology companies, BARD is also poised to enter the rapidly emerging biofuels market. Cellana’s core technology is a photosynthetic production system that economically grows proprietary algae strains at a commercial-scale. The patented production system, called ALDUO™ technology, is unique in that it couples closed-culture photobioreactors with open ponds in a two-stage process. Previous attempts at scaling up algae production have used a photobioreactor or open pond individually, not coupled. 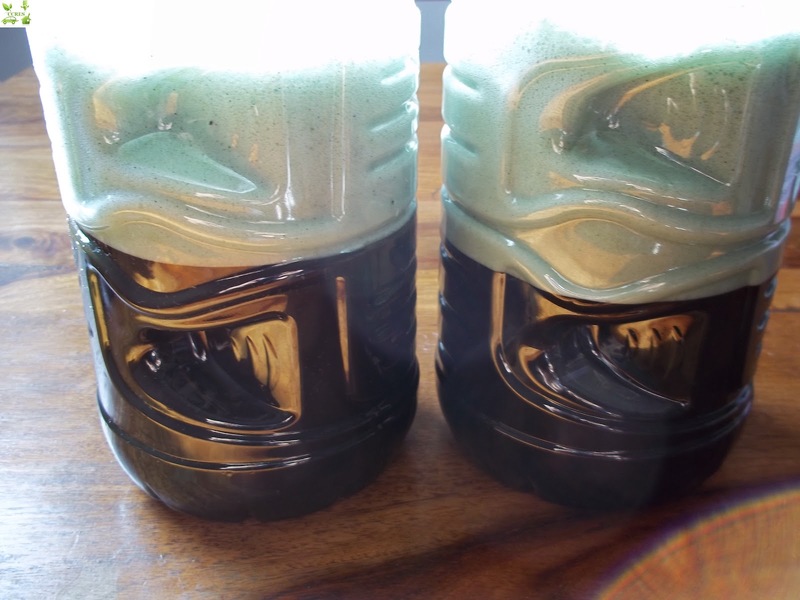 Algae crude to transport fuel technology. Algae.Tec is a globally focused advanced algae-to-biofuels company. Algae.Tec is commercialising an enclosed modular high-yield algae-to-biofuels growth system to produce fuel for transport. The fuel is designed to be a drop-in replacement solution that is cost competitive, and contributes to energy security. 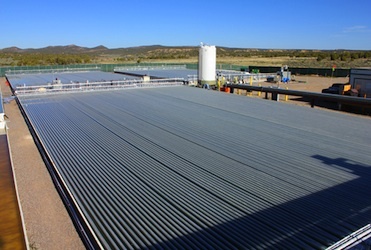 The Algae.Tec photo bio-reactors produce high-value sustainable fuels such as biodiesel and jet fuel. Algae Production Systems has selected a specific methodology to be applied to each of the three steps in the process of producing algae oil, which are 1) grow algae 2) harvest the algae and 3) extract the Oil and biomass. The manner and order in which our process functions is, in some cases, a unique departure from the way in which algae has been grown, harvested and oil extracted in laboratory environments. Direct capture Algal Synthesis significantly reduces greenhouse gas emissions by recycling waste CO2, SO2 and NOx to create biofuels and nutrition that would otherwise be sourced from more carbon intensive sources such as crude oil and other fossil fuels. 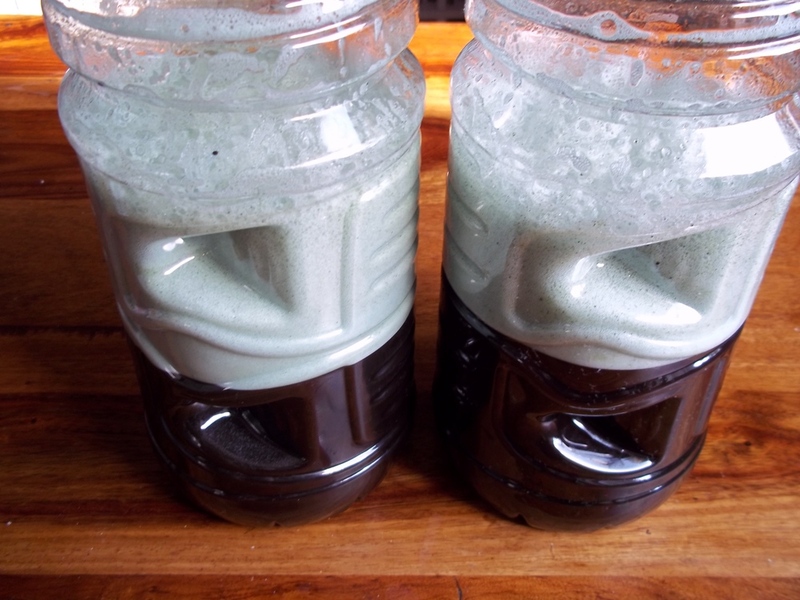 As a source of low-cost nutrition, Algal Synthesisers can help avoid land clearing and take pressure off farmlands. Used as feed, algal meal results in lower methane emissions from ruminant animals than from livestock grazing on grasses alone. OriginOil has proven a system called Single Step Extraction™ that is chemical-free, low-energy, high-flow and low-cost.And Single Step Extraction does more than dewater: it can rupture tough algae cell walls to free up oils and other valuable cellular components that downstream processes can separate out. Finally, we’ve combined Single Step Extraction with an efficient concentration step to achieve a concentrate with up to 10% algae solids. Algenol is a global, industrial biotechnology company that is commercializing its patented algae technology platform for production of ethanol and green chemicals. Our patented DIRECT TO ETHANOL® technology enables the production of ethanol for less than $1.00 per gallon using sunlight, carbon dioxide and saltwater and targets commercial production of 6,000 gallons of ethanol per acre per year. Aurora leads the world in the development of high-tech farming; a concept necessary and well timed to catapult us into a new era of innovation. Biochemists and engineers at Aurora have spent years focusing on the technology and science of growing algae. With more than a dozen patents filed on our science, and more than another dozen on our engineering innovations, we have developed processes that are truly revolutionizing farming as we know it. Biotechnology that Creates Renewable Oils from Microalgae. Solazyme couples proprietary strains of algae with standard industrial biotechnology; converting what the earth produces naturally into what society needs most – oil. Solazyme’s proprietary biotechnology platform creates renewable oils by harnessing microalgae’s prolific oil production capabilities. Through world-class molecular biology and chemical engineering capabilities, we’re able to cost-effectively produce high-value tailored oils. Sapphire Energy, Inc., one of the world leaders in algae-based green crude oil production, today announced it has secured $144 million in a Series C investment funding. The Series C backers include Arrowpoint Partners, Monsanto, and other undisclosed investors. All major Series B investors have participated. With this investment round, Sapphire Energy’s total funding from private and public sources substantially exceeds $300 million. LiveFuels is developing an integrated approach to growing, harvesting and processing algal biomass into fuels and other valuable co-products. Our solution uses the productivity of natural aquatic life to fundamentally resolve challenges of cost, risk and scalability. While many algae-to-biofuels companies grow monocultures of algae within expensive enclosures, LiveFuels grows a robust mix of native algae species in low-cost, open-water systems. Heliae’s algae technology package is made for co-location near big, unwanted waste streams. Our technology cost-effectively converts industrial CO2, wastewater nutrients and free sunlight into drop-in, infrastructure-compatible transportation fuels, food, and renewable chemicals. We help fuel a world in need of affordable, clean, conflict-free energy. And, we help feed a hungry world in need of affordable protein that does not exacerbate climate change or further deplete our imperiled oceans. BioProcess Algae LLC designs, manufactures, and operates integrated systems to support bioreactor operations and dewatering efforts. Current demonstration activities are supported by commercial scale modular systems that include Grower Harvester™ cultivators, flue gas tie-ins and fully automated operational support such as pH and temperature control, CO2 and nutrient delivery, CIP capability, dewatering and water reuse. The ECO2Capture™ Technologies improve the mass transfer of a gas (for example, CO2) into a liquid media (for example, water). The liquid media is distributed across the membrane through the Hybrid-Flow-Controlling-Header (HFCF). The HFCF is designed to allow for an even distribution of the liquid media across the faces of the membrane at the right flow, pressure, and temperature to ensure maximum mass transfer. HDS International (HDSI) is a green technology company providing renewable energy and eco-sustainability solutions. We provide carbon capture and sequestration solutions, as well as industrial, all natural open-water algae biomass production solutions for green energy purposes, including anaerobic digestion and biofuels, as well as for the development of bioproducts and carbon elimination. Our licensed technologies provide us with an attractive strategic position and competitive advantages within our markets. Today, Kent BioEnergy has emerged as an industry leader in the development of advanced concepts for culturing and harvesting microalgae – single-celled aquatic plants. With the combination of our solid applied research foundation and extensive practical experience, the company remains focused on producing competitively priced solutions for a wide range of industrial needs from pollution control to renewable energy. OpenAlgae specializes in serving algae growers with continuous, solvent-free oil and biomass recovery via cost-effective concentration, lysing and oil extraction technologies. Just as oilfield service providers evolved to support oil production processes between the wellheads and the refineries, so too has OpenAlgae evolved to support algae growers in the next-generation biofuel industry. Solix’s Lumian™ Algae Growth System (AGS™) is a high productivity, reliable algae cultivation photobioreactor system which includes Solix’s proprietary Lumian panels. Solix’s Lumian panels are designed to maximize light penetration and efficient mixing of CO2 for optimized algae growth. The Lumian AGS4000 is a 4000 liter high productivity AGS ideally suited for the outdoor evaluation of algae species. Copyright The entire content included in this site, including but not limited to text, graphics or code is copyrighted as a collective work under the United States and other copyright laws, and is the property of The CCRES Inc. © 2010-2013 HRVATSKI CENTAR OBNOVLJIVIH IZVORA ENERGIJE ®. Sva prava pridržana . As oil prices continue to rise, fuel and chemical industries look for alternative ways to produce products. These products include fine and bulk chemicals, solvents, bio-plastics, vitamins, food additives, bio-pesticides and liquid biofuels such as bio-ethanol and bio-diesel. Industrial biotechnology applies the tools of biology to develop innovative processes and products in a cost-efficient and eco-efficient manner, using sustainable feed stocks. CCRES is a member-based non-profit organization with membership open to research institutions, public and private sector organizations, students, and individuals. Every day, CCRES supporters fight to make environmental education, clean energy solutions, and the green economy a reality. The mission of CCRES ALGAE PROJECT is to support development of innovative, sustainable, and commercially viable algae-based biotechnology solutions for energy, green chemistry, bio-products, water conservation, and CO2 abatement challenges. CCRES ALGAE is vital to CCRES mission and offers entrepreneurs and companies, large and small alike, a unique opportunity to actively participate in shaping the algae biotechnology research agenda for our future.Joining with commercial partners will propel research discoveries into energy and economic solutions for Croatian sustainable future. 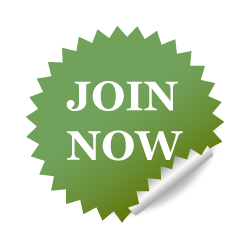 To become a member, please CLICK HERE! Invitations to CCRES seminars, tours, lunches and other special events. Advance notice of joint-funding opportunities. Recognition and logo presence for CCRES websites. 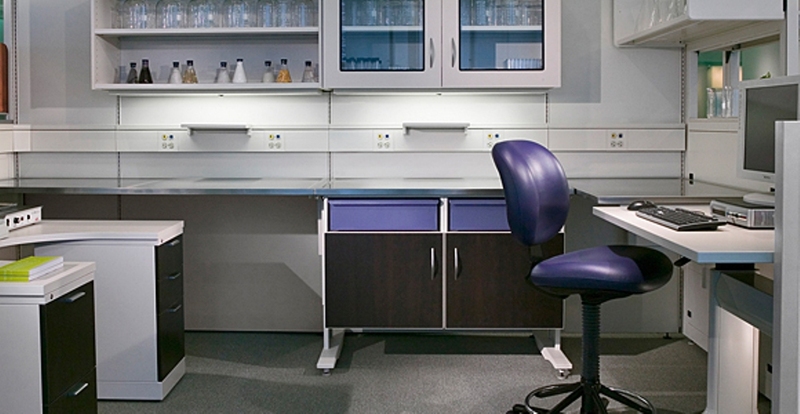 Ability to sponsor additional fellowships, meetings or seminars. A seat on the CCRES Advisory Board. Listing on the CCRES webpage and blogs. High-profile inclusion in CCRES marketing materials. An algal production facility located at the CCRES Research Farm will be operational by June. This is the first facility at Croatia that can produce large amounts of algal biomass. The facility is a 800 square-foot greenhouse that will accommodate two raceway pond systems, four large flat panel photobioreactors and one custom-made revolving attachment-based photobioreactor. The total production capacity will be 100-200 dried kilograms of algae biomass per year. CCRES Researchers will use the various production systems to quickly grow algal biomass for various research purposes including the production of renewable fuels, food or animal feed. “This greenhouse algal production system will be a test bed for different researchers to try out their algal production capability at a large scale,” said Zeljko Serdar, President of CCRES ALGAE TEAM. “The raceway pond systems are each 20 feet in length and both systems can hold approximately 1,000 liters of algae culture medium. 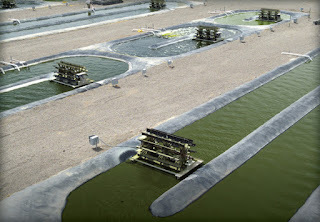 Raceway pond systems are the most common method for large-scale algae cultivation. At first glance, the four flat panel photobioreactors appear to be large tanks,” said Ilam Shuhani, Chairman of the CCRES Supervisory Board and professor-in-charge of the greenhouse. The 6th International Algae Congress which will take place on December 4 & 5 2012 in Rotterdam in the Netherlands. 6th International Algae Congress 2012 at a glanceFollowing the success of the previous five international algae congresses, the organisers are pleased to announce the sixth International Algae Congress. The sixth International Algae Congress takes place at the floating pavilion in Rotterdam The Netherlands, on 4 & 5 December next. It is organised by DLG BENELUX from the Netherlands. Address Floating pavilion; Tillemakade 99, 3072 AX Rotterdam, The Netherlands. Programme and SessionsUpdates on the programme and the speakers are still made, so please keep an eye on this page, or sign up for our e-newsletter. You will meet delegates from various sectors from the algae industry, including scientists, aquaculture, algae producers, waste managers, water treatment, end-users (food, feed, aquaculture, pharma), VC PE and other investors, consultants, energy companies, equipment, technology & infrastructure and government agencies. Please click here for testimonials from delegates and speakers. Algae Information MarketAn excellent platform where companies and scientists can demonstrate their products and/or services by means of a stand or a poster presentation. The information market will be located in the foyer surrounding the congress room. This foyer is used for the registration of participants, coffee breaks and lunches as well. You will have sufficient time for networking with participants during these coffee breaks and lunches. Please click here for an overview of the partipants and the possibilities. Biodiesel from MicroalgaeThe oil from the algae can be used for any combustion process. An even wider range of use for algae oil is obtained by the transesterification to biodiesel. This biodiesel can be blended with fossil diesel or can be directly driven as pure biodiesel B100. Protein for the food industryThe demand for high-quality protein for the food industry has been growing rapidly over the years. “The Asia Pacific region has been culturing algae for food and pharmaceuticals for many centuries, and these countries are eager to use this knowledge base for the production of biofuels,”says Zeljko Serdar, President of CCRES.Without sustained high prices at the pump, investment in algae will likely be driven by demand for other products. In the short term, the growth of the industry will come from governments and companies seeking to reduce their environmental impact through carbon collection. Ovisnost svijeta o neobnovljivim izvorima energije, uglavnom fosilnim gorivima, trn je u oku mnogih znanstvenika i aktivista za zaštitu okoliša diljem svijeta. Samim time ne iznenađuju globalna nastojanja da se smanji ovisnost o fosilnim gorivima i pronađu ekonomski prihvatljiva alternativna goriva i da se time znatno smanje emisije štetnog ugljičnog dioksida u atmosferu. Jedna od alternativa o kojoj se najviše priča su biogoriva. Biogoriva su zbog svoje sličnosti s naftnim derivatima poprilično dobra alternativa fosilnim gorivima i korištenje biogoriva rezultira s manjim emisijama CO2 u atmosferu. Zbog toga su biogoriva ekološki puno prihvatljivija od konkurentskih fosilnih goriva. Manje ukupne emisije ugljičnog dioksida iz biogoriva rezultat su zatvorenog ugljičnog kruga – biljke i alge uzimaju iz atmosfere ugljični dioksid da bi mogle rasti, a kad se biogoriva upotrebljavaju taj isti ugljični dioksid se vraća natrag u atmosferu. Ugljični otisak fosilnih goriva ide u samo jednom smjeru – iz zemlje u atmosferu, tj.u niti jednom koraku proizvodnje i korištenja fosilnih goriva ne smanjuje se količina CO2 u atmosferi. Biogorivo može biti čvrsto, tekuće ili čak plinovito gorivo koje je proizvedeno iz biološkog materijala. Kod organizama koji obavljaju fotosintezu, kao na primjer kukuruz ili soja, biljke koriste energiju sunca i vodu da bi pretvorile dostupni ugljični dioksid u ugljikohidrate, tj. da bi pohranile energiju. Ovakav proces je zapravo dvostruko koristan: ne samo da je proizvedeno gorivo, nego je za to potrošena određena količina ugljičnog dioksida pa ovakva proizvodnja goriva ima pozitivni učinak i s energetske i s ekološke točke gledanja. Iako se biogoriva mogu proizvoditi od bilo kakvih izvora ugljika, danas se uglavnom koriste razne vrste ratarskih biljaka diljem svijeta. Postoji mala razlika između različitih biljaka u smislu goriva koje se od njih proizvodi. Na primjer etanol se proizvodi od biljaka koje sadrže puno šećera (šećerna trska, kukuruz), a za proizvodnju biodizela koriste se biljke koje sadrže više ulja (soja, kanola, uljana repica). Biogoriva imaju mnoge prednosti, ali postoje i nedostaci. Uzgajanje biljaka za proizvodnju biogoriva zahtjeva kvalitetna poljoprivredna zemljišta a to naravno povećava potražnju za takvim zemljištima i diže cijenu. Najveći problem s biogorivima je zapravo činjenica da je proizvodnja biogoriva pretvaranje hrane u gorivo, a to loše utječe i na cijenu i na dostupnost hrane diljem svijeta, a već sad postoji gotovo milijarda ljudi koji žive na rubu gladi. Prema tome pretvaranje hrane u gorivo ne izgleda kao logičan izbor za rješavanje energetskih problema. Proizvodnja biogoriva iz algi ima mnoge prednosti koje taj postupak čine gotovo savršenim izvorom goriva. Alge rastu 50 do 100 puta brže od tradicionalnih kultura za proizvodnju biogoriva. Dodatna velika prednost je to što su alge jednostanični organizmi koji ne zahtijevaju svježu pitku i zemljište da bi rasli, a to znatno pojednostavnjuje proizvodnju. Prema nekim stručnjacima proizvodnja goriva iz algi je najbolja alternativa fosilnim gorivima i uz dobru podršku ta bi biogoriva u budućnosti mogla u potpunosti izbaciti fosilna goriva iz upotrebe. Gdje se mogu uzgajati alge? Alge se mogu uzgajati u odvojenim vodenim površinama, čak iako voda nije dovoljno kvalitetna za piće. Alge se također mogu uzgajati i u slanoj vodi. Uzgajajući alge na površinama koje nisu pogodne za proizvodnju hrane, više zemljišta i kvalitetne vode ostaje za proizvodnju hrane. Veća količina proizvedene hrane može se onda upotrijebiti za borbu protiv gladi, a ne za proizvodnju biogoriva kao do sada. Odemo li tridesetak godina unatrag, ili da smo precizniji u 1978 godinu, možemo primijetiti da je čak i američko ministarstvo za energiju (Department of Energy – DOE) pokrenulo „Aquatic Species Program“ s ciljem istraživanja moguće proizvodnje energije i biogoriva iz algi. Prema tome, proizvodnja biogoriva iz algi nije nova ideja kao što misli većina ljudi. Usprkos dobroj ideji, ovo istraživanje nije bilo produktivno, uglavnom zbog padajućih cijena sirove nafte i činjenice da je DOE bilo prisiljeno smanjivati troškove. Sve ovo rezultiralo je gašenjem programa 1996 godine. Usprkos gašenju, istraživanja unutar tog programa dala su vrlo važne rezultate, a najvažnije od svega je zaključak da bi proizvodnja biogoriva iz algi svakako mogla dostići željene razine. U ono doba studije su pokazale i jedan veliki nedostatak: zaključeno je da postupak ne bi bio financijski opravdan sve i da se cijena sirove nafte udvostruči. Ovaj zaključak imao je solidnu potporu sve do 2006 godine u kojoj se cijena nafte gotovo utrostručila u odnosu na prošlu dekadu, a cijena nafte je i dalje rasla. Uz trenutne probleme globalnog zatopljenja i visoke cijene sirove nafte stvorile su se idealne prilike za ponovnu evaluaciju ovog izvora energije. Proizvodnja biogoriva iz algi vrlo je zanimljivo područje istraživanja mnogim znanstvenicima diljem planeta, ja jedan on vodećih centara za takova istraživanja je laboratorij za pogone i konverziju energije (The Engines and Energy Conversion Laboratory – EECL) na sveučilištu Colorado State University. Ovaj laboratorij usmjeren je prema tehnologijama koje bi omogućile industrijska rješenja za energetske i ekološke izazove. Glavni projekt laboratorija fokusiran je na proizvodnju biogoriva iz algi i trebao bi rezultirati skalabilnom i cjenovno prihvatljivom tehnologijom za proizvodnju goriva. Jedan od glavnih igrača na tom polju svakako je tvrtka Solix Biofuels, kompanija koje je usavršila nekoliko generacija sustava za uzgoj algi (Algal Growth System – AGS), tehnologije koja je sad operativna na pokaznom polju Coyote Gulch u jugozapadnom Coloradu. Tvrtka Solix Biofuels je vodeća u proizvodnju tehnologija za kreiranje iskoristive energije iz algi. Njihova tehnologija usmjerena je na omogućavanje velike komercijalizacije goriva temeljenih na mikroalgama i dodatnih koprodukata. Alge se mogu uzgajati na dva osnovna načina – sustav otvorenog bazena (prirodnog ili umjetno napravljenog) ili umjetni zatvoreni sustav. Alge moraju biti vrlo otporne na nametnike za uzgoj u otvorenim sustavima jer su to uvjeti koje nije lako kontrolirati. Bez kontroliranih uvjeta teško je održavati rast željene vrste algi, odnosno održati rast na optimalnoj razini za proizvodnju biogoriva. Ovo je glavni razlog zašto Solix Biofuels uglavnom razvija zatvorene sustave za uzgoj algi. Zatvoreni sustavi imaju nekoliko prednosti: ne samo da zatvoreni sustavi omogućavaju uzgoj određene kulture, nego se alge u tim sustavima mogu direktno hraniti visoko koncentriranim ugljičnim dioksidom iz industrijskih procesa, a to naravno maksimizira količinu „ulovljenog“ ugljičnog dioksida koji bi inače bio ispušten u atmosferu. Prvi prototip AGS sustava napravljen je 2006 godine. Od onda kompanija radi na usavršavanju tehnologije i znatno je proširila površinu na kojima uzgaja alge. Posljednji veliki uspjeh dolazi iz srpnja 2009 kad su instalirali veliki sustav za proizvodnju biogoriva na pokaznom polju Coyote Gulch. Započeli su s velikim izazovom: prvo je trebalo razviti procese za skupljanje podataka i kontroliranje rasta ta automatizirani AGS. Željeli su jedinstvenu tehnološku platformu koja bi podržavala i prirodne i industrijske operacije. U prirodnim uvjetima sustav treba biti prilagodljiv pa je bilo potrebno mnogo kemijskih i fizičkih senzora te kontrola protoka. Za operacije u industrijskom okruženju glavni je naglasak bio na stabilnoj, pouzdanoj i jednostavnoj platformi koja ima sučelja prema industrijskoj instrumentaciji i kontrolama. Industrijska okruženja također moraju imati sustave skupljanja podataka u zajednički repozitorij da bi se informacije mogle jedinstveno prezentirati svim zainteresiranim stranama: menadžerima, operativi i odjelu za istraživanja i razvoj. Zbog toga je kreiran cijeli sustav za nadzor i skupljanje podataka (Supervisory Control and Data Acquisition) uključujući i sučelje za monitoriranje i kontrolu rasta algi. Pokusna energana uključuje raznovrsne sustave izgrađene za proizvodnju plina i tokova vode, sam sustav za uzgoj algi, sustave za skupljanje algi i konačno sustave za proizvodnju biogoriva. Svi ovi sustavi omogućuju im vrlo precizno skupljanje podataka i ispitivanje odaziva različitih vrsta algi na različite uvjete uzgoja. Biogoriva temeljena na algama definitivno imaju potencijala pokrenuti revoluciju u energetskoj industriji i mogla bi igrati vodeću ulogu u borbi protiv stakleničkih plinova i klimatskih promjena. Naravno, da bi se došlo do toga morat će se pokrenuti još mnoga istraživanja i biti će potrebna znatna financijska sredstva. Kompanije poput Solix Biofuels su pioniri koji bi mogli pogurati ovaj energetski sektor u jedan od najkompetitivnijih na energetskom tržištu. Lobiji iza fosilnih goriva su još uvijek prejaki, ali s rastućim problemom globalnih klimatskih promjena ti lobiji bi uskoro mogli u određenoj mjeri oslabiti, čime bi se širom otvorila vrata alternativnim gorivima. Jedna od alternativa koja svakako zaslužuje pažnju u godinama koje dolaze su biogoriva iz algi. Njihov energetski potencijal, činjenica da ne pretvaramo hranu u gorivo i znatno smanjene ukupne emisije stakleničkih plinova trebali bi im osigurati dovoljna financijska sredstva za daljnja istraživanja. Potražnja za energijom neće se smanjivati u godinama koje dolaze nego će rasti i biti će potrebna alternativna goriva bez obzira koliko će dominantna ostati fosilna goriva. Proizvodnja biogoriva iz algi mogla bi biti jedna od iznenađujućih takmaca na polju alternativnih goriva u ne tako dalekoj budućnosti, osobito ako cijene fosilnih goriva budu rasle. A u međuvremenu bi kompanije i udruženja poput američke Solix Biofuels ili hrvatskog HCOIE trebale nastaviti svoja istraživanja i ukazivati na prednosti koje ovakav proces ima. Ovime bi se svijest o toj alternativi znatno proširila i implementacija proizvodnje na globalnoj razini postala bi moguća kad za to dođe vrijeme. Algae are emerging to be one of the most promising long-term, sustainable sources of biomass and oils for fuel, food, feed, and other co-products. What makes them so attractive are the large number and wide variety of benefits associated with how and where they grow. Nearly all these benefits stem from the fact that these plants have evolved over billions of years to produce and store energy in the form of oil, and they do this more efficiently than any other known natural or engineered process. Algae can double their numbers every few hours, can be harvested daily, and have the potential to produce a volume of biomass and biofuel many times greater than that of our most productive crops. Algae store energy in the form of oils and carbohydrates, which, combined with their high productivity, means they can produce from 2,000 to as many as 5,000 gallons of biofuels per acre per year. Like any other plant, algae, when grown using sunlight, consume (or absorb) carbon dioxide (CO2) as they grow, releasing oxygen (O2) for the rest of us to breathe. For high productivity, algae require more CO2, which can be supplied by emissions sources such as power plants, ethanol facilities, and other sources. Algae cultivation uses both land that in many cases is unsuitable for traditional agriculture, as well as water sources that are not useable for other crops, such as sea-, brackish- and wastewater. As such, algae-based fuels complement biofuels made from traditional agricultural processes. Microalgae can be cultivated to have a high protein and oil content, for example, which can be used to produce either biofuels or animal feeds, or both. In addition, microalgal biomass, which is rich in micronutrients, is already used for dietary supplements to advance human health. Macroalgae (seaweeds) are grown in the sea, or even on land with seawater, and their sugars can be converted into biofuels and chemicals. Algae thrive in nutrient-rich waters like municipal waste waters (sewage), animal wastes and some industrial effluents, at the same time purifying these wastes while producing a biomass suitable for biofuels production. After oil extraction, the remaining algal biomass can be dried and “pelletized” and used as fuel that is burned in industrial boilers and other power generation sources. Algae can be cultivated to produce a variety of products for large to small markets: plastics, chemical feedstocks, lubricants, fertilizers, and even cosmetics. See other products algae is used for here. Algae can grow in a wide variety of climates in a multitude of production methods, from ponds to photobioreactors to fermenters, and thus will create a wide variety of jobs throughout the United States, from research to engineering, from construction to farming, from marketing to financial services. Astaxanthin is found in microalgae, yeast, salmon, trout, krill, shrimp, crayfish, crustaceans, and the feathers of some birds. It provides the red color of salmon meat and the red color of cooked shellfish. Astaxanthin, unlike several carotenes and one other known carotenoid, is not converted to vitamin A (retinol) in the human body. Like other carotenoids, astaxanthin has self-limited absorption orally and such low toxicity by mouth that no toxic syndrome is known. It is an antioxidant with a slightly lower antioxidant activity in some model systems than other carotenoids. However, in living organisms the free-radical terminating effectiveness of each carotenoid is heavily modified by its lipid solubility, and thus varies with the type of system being protected. While astaxanthin is a natural nutritional component, it can also be used as a food supplement. The supplement is intended for human, animal, and aquaculture consumption. The commercial production of astaxanthin comes from both natural and synthetic sources.